It's October, which means it's Breast Cancer Awareness Month, and we've got all sorts of ways to support the fight by wearing/using PINK products. 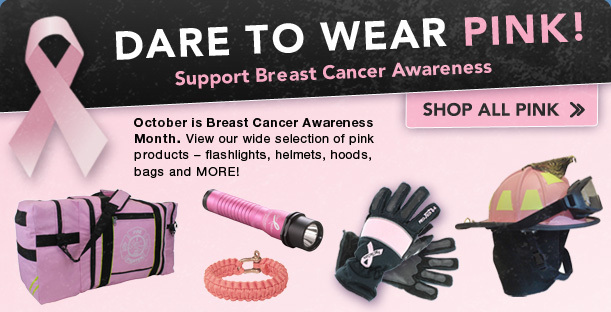 We've got pink helmets, flashlights, survivor bracelets, pink ribbon gloves, supportive decals, knives, clipboards and more! Specifically, when purchasing one of the above pink Paul Conway helmets, 50% of the profits go directly to fund Breast Cancer Research, and will be donated in your name. Shop our selection of PINK and support Breast Cancer Awareness!